It was so nice to go to a conference that achieved what it set out to do – raise the profile and professionalisms of those often forgotten early years practitioners – childminders. 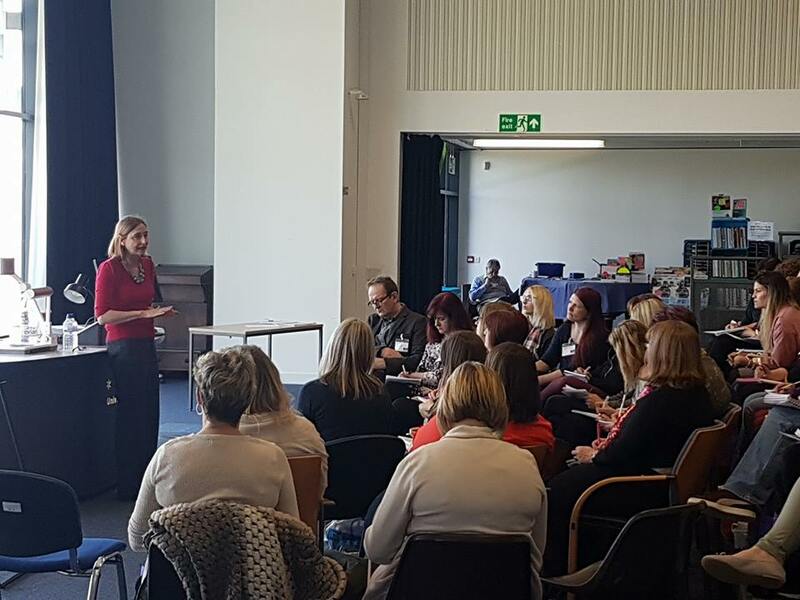 Minding the Gap Conference 2017 was held at the University of Brighton last Saturday, 25th March, and was a well organised ‘first’ conference initiated at a grassroots level by two early years trainers, Rebecca Martland and Alison Featherbe. Originally aimed at childminders, Rebecca and Alison extended the invitation to include other early years settings. With over 150 delegates from Sussex and the south-east (and some from much further afield) there was a good take up by childminders – over 65%, although the mix with other early years practitioners, I believe, made the atmosphere of the conference all the richer without losing its original focus. I was so impressed with both keynotes, not only for their content but also for their engaging presentation style. Penny Tassoni explored the conference tag line ‘Ensuring No Child Gets Left Behind” by drawing on the research she undertook for her recent book “Reducing Educational Disadvantage: A Strategic Approach in the Early Years”. In order to support children who may fall into the ‘disadvantaged’ group, Penny decided to look at what might be considered those additional ‘resources’ that had been given to ‘advantaged’ children. Penny described these as the ‘lucky children’. Lucky children benefitted from the quality of the relationship with key adults, from having the opportunity to talk and from having rich experiences. Penny felt that parents who subconsciously had a ‘long-term’ strategy to ensure their children got these experiences were giving them enormous advantages for their future life chances. Whilst this could include taking the children to worthwhile places, and establishing in them an entitlement to go to such places, she also described simple experiences such as posting a letter or cracking an egg. Even a 10 minute quality 1:1 interaction between an adult and a child every day, such as a shared book experience, means that by the age of 5 a child will have had 6000 quality interactions. Lucky children will have had these interactions. Therefore early years practitioners should be the ‘resource’ to increase the 1:1 interactions for all children, ensuring their experiences are widened. They should develop a strategy looking at the bigger picture by planning rich play opportunities, that are afforded to the lucky children, to ensure no child ‘gets left behind’. Taking the theme of Fundamental British Values for the closing keynote of the day could have been a risky strategy, but Dr Kay Mathieson interwove this with the equally thorny subject of ‘superhero play’ and gave a fascinating and thought-provoking presentation. She explored the way ‘superheroes’ can give children opportunities to explore moral values such as fairness, justice, and right and wrong in their own self chosen play. With some unusual workshops and an impressive ‘marketplace’ I sensed that everyone left inspired with enthusiasm and armed with the resources and tools to put the messages from the day into practice. Well done to the organisers and in particular for having faith that grassroots initiatives can be so fruitful.